With increasing number of home break-ins, stolen packages from front porches and violent crimes, the home security camera system becomes all the more essential for your safety and peace of mind. There are numerous camera systems available in the market. Below we will shortlist the top 10 home security camera systems for you to check out. Arlo Pro 2 creates footages in brilliant 1080p HD quality. The wireless camera is weather-resistant and can be used indoors and outdoors. It comes with a rechargeable battery or you can plug it in while indoors to gain access to 24/7 Video surveillance and upgrades. The camera catches every moment with the help of the night vision and equally helpful advanced motion detection. It offers free cloud recordings for 7 days. 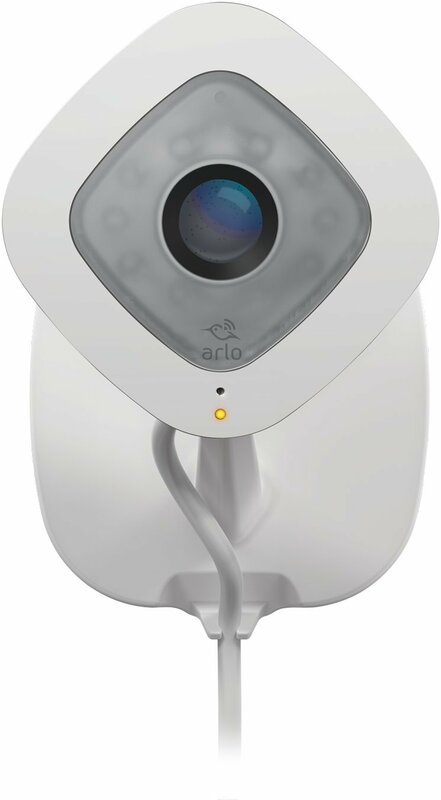 Arlo Pro 2 provides a smart, simple and effective home security. A weatherproof camera system with a built-in speaker and microphone. An outdoor security camera works with Amazon Alexa to provide smart and effective security. It offers 24/7 continuous crisp 1080p HD recording. 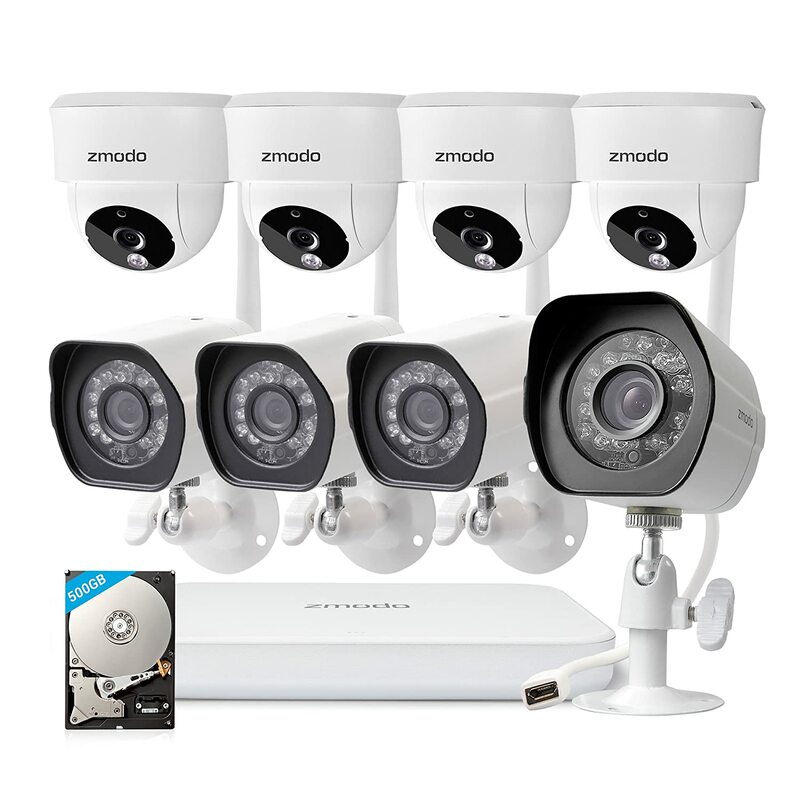 The world’s only motion-activated security camera that comes with built-in floodlights. It has a siren alarm and a two-way audio. Protecting your property becomes easier with object/facial detection and top of the art motion sensors found in all the home security camera systems. The 270° field-of-view helps in monitoring around corners and blind spots. Arlo Q produces 1080p HD resolution footages, recording and live stream sharp which can be accessed from anywhere via a smartphone, a tablet, a laptop, or a computer. The enhanced night vision of Arlo Q is capable of capturing the images/ videos clearly even in the total darkness. The 2-Way Audio and the built-in mic speaker enables you to listen as well as talk back. 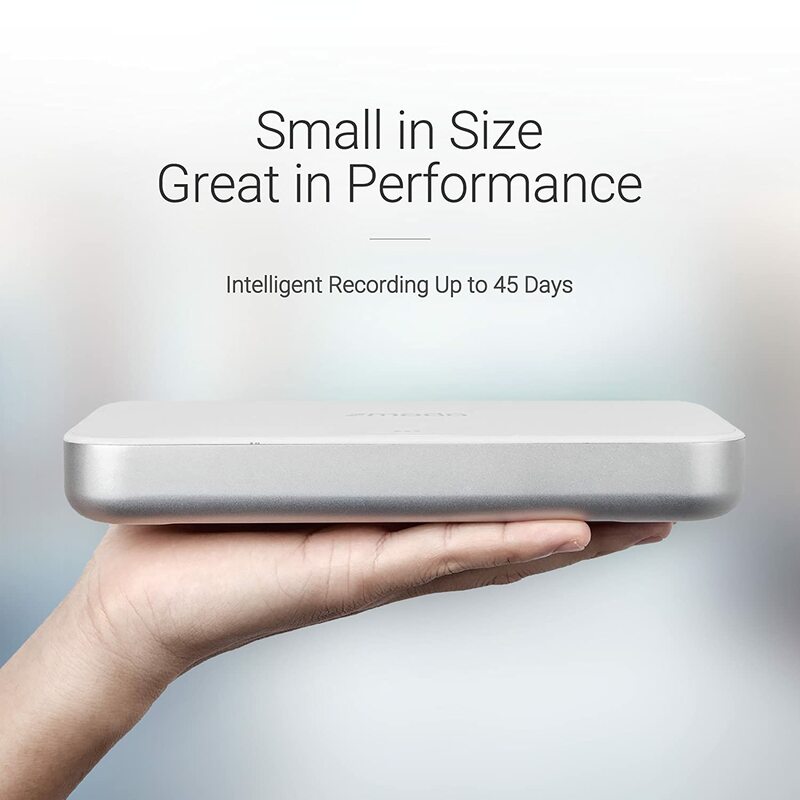 With Arlo Q you also get Free Cloud Recordings for 7 days. Blink is without a doubt one-of-a-kind battery powered and wire-free home security camera system. This innovative camera system is stylish and easy to set up. It has a built-in motion sensor alarm which sends instant alerts on smartphones and tablets. It is perfect for indoor security. It is designed specifically for its ease of use, setup and access. The live view mode grants you access to the live feed from your home, rentals, apartments or business anytime anywhere. SimpliSafe is a DIY wireless security system with the best quality camera systems available on the market. It offers 24/7 alarm monitoring without the contract and for just $14.99/month which also includes a free cellular link. The camera system comes with pre-programmed sensors which go to work instantly without having to set up. The simply safe app enables you to view HD resolution video feed from anywhere in the world. This NVR box and cameras do not require running of wires all over the property. It is easy to setup and can be simply connected to the router with the network cable. All you need to do next is to plug the security cameras to power and its ready to go. It captures 720p full HD quality image. The Zmodo wireless camera system can record 500GB footages and allows you to save up to 90 days of footage. Lynx Solar is the first fully integrated solar-powered camera available in the market. Exposure to sun on only one sunny day and the power will last for up to 7 days which means even in power outages, the home security camera would work. It can store up data of about 3 days. A perfect camera system for keeping a close eye on children or elders that are usually left home alone using the free Tend secure app. 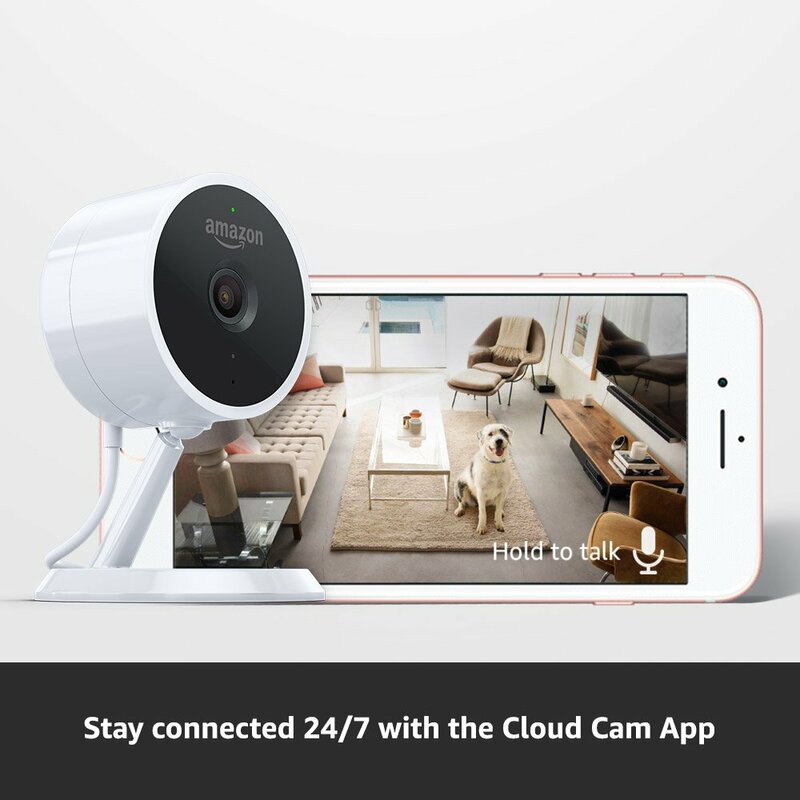 Amazon Cloud Cam has every feature that you would need for keeping your home safe. Its motion detection feature can detect any activity and send you a notification no matter wherever you are in the world. The Cloud Cam mobile app can watch, record, capture,and download. Cloud Cam is equipped with 8 infrared LEDs that can capture crystal-clear images and videos even in the dim lighting. The camera has an entire field of view. The night vision can be turned on and off. The built-in mic and speaker allows two-way communication. There is no one perfect camera system for home surveillance. The suitability of the home security camera system varies from individual needs of their houses, properties and businesses. The camera system that you will choose should also fit in your budget, should cover all the areas of your home, should suit the climatic conditions of the area, and other concerns completely. You should start the search with gaining a general idea of what you want in your home security camera and how it fits in your budget. Different camera systems have different key features. So, compare them and make your choice wisely. There are some top security cameras I mentioned in an earlier post here if you missed them, click here to view if you missed the post. Let me know if you have any questions you need answering, will get back to you as soon as possible.